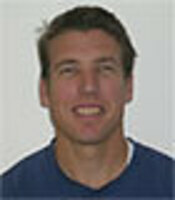 Tom Bohrer started TBfit.com in 2002 as a resource for rowers who wanted to maximize their training time with efficient and effective training programs. With CB's input we expanded the site with more information on drills, technique and strength training. We added information requested by users such as stretching and race preparation. Our goal is to provide all the information needed to train effectively. Follow our workouts on twitter: Tom is @tbfit_tom and cb is @cbsab. We are happy to answer your specific training questions via email, typically within a day or two. Monthly programs for rowing and strength training. Coaching tips for rowing technique and training. Drills for rowing on the water or the erg. Answers to your training questions via email. A detailed Exercise Encyclopedia with descriptions photos and video of how to perform exercises correctly. Rigging specifications and other useful training information. Personalized programs to meet your specific individual or team needs. Personal and group instruction for on-water rowing and in the gym. If you train on your own or are looking for a new structured program, then check us out. Contact us any time you have a question or if you would like help designing a program for your specific needs.